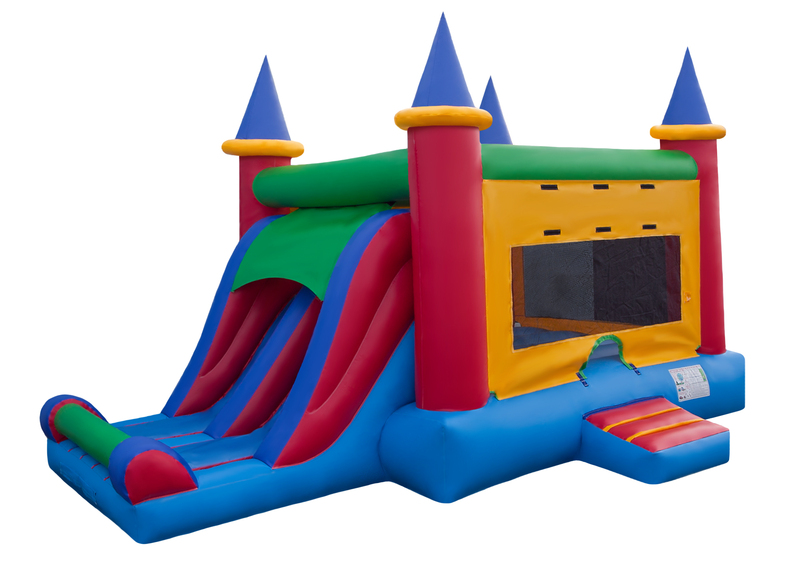 Maximize the capacity for fun at your next party or event, kids of all ages will enjoy our Dual Castle Combo with a large jumping area and two exit slides. A definite crowd pleaser designed to double the fun. All this fun is safety ensured by New Jersey state safety guidelines for amusement rides. It is a safe way to enjoy healthy physical activity. The Dual Castle Combo is a premium product made to satisfy all parties and events.